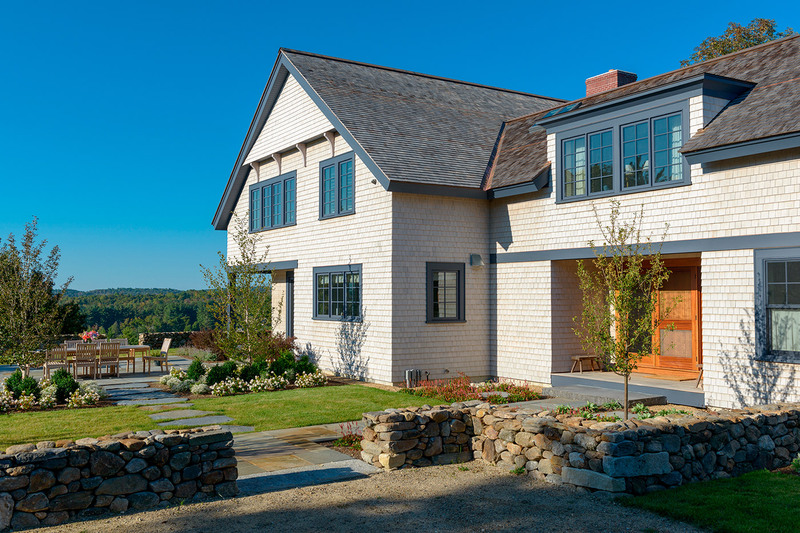 This family retreat was designed to balance the communal nature of a large extended family with the needs of the individual. 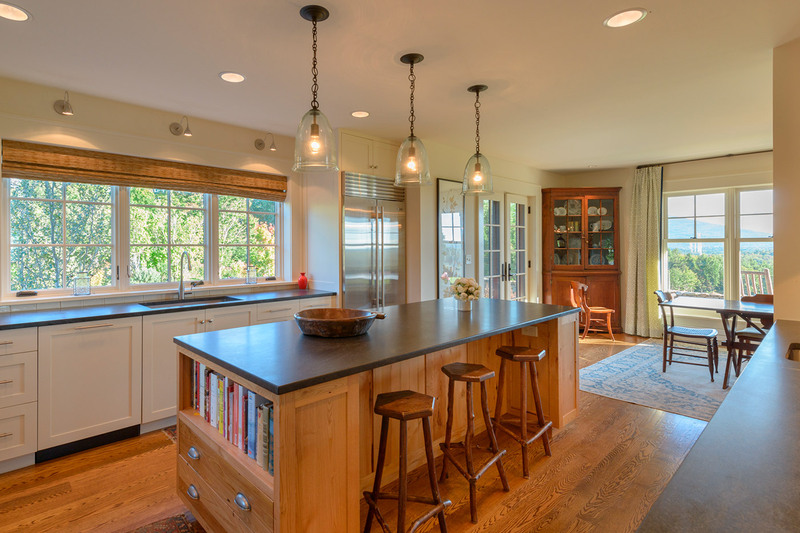 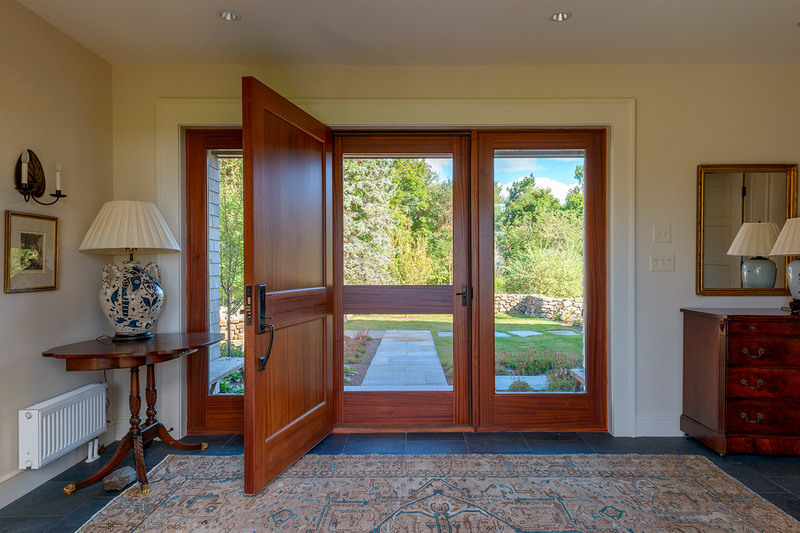 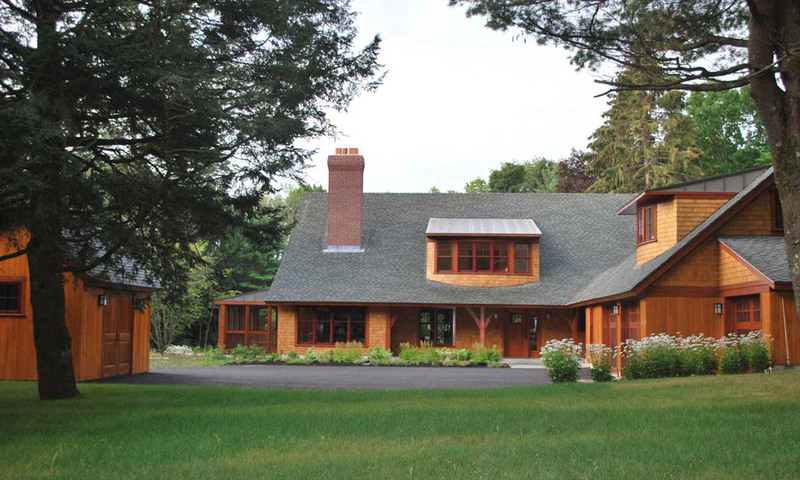 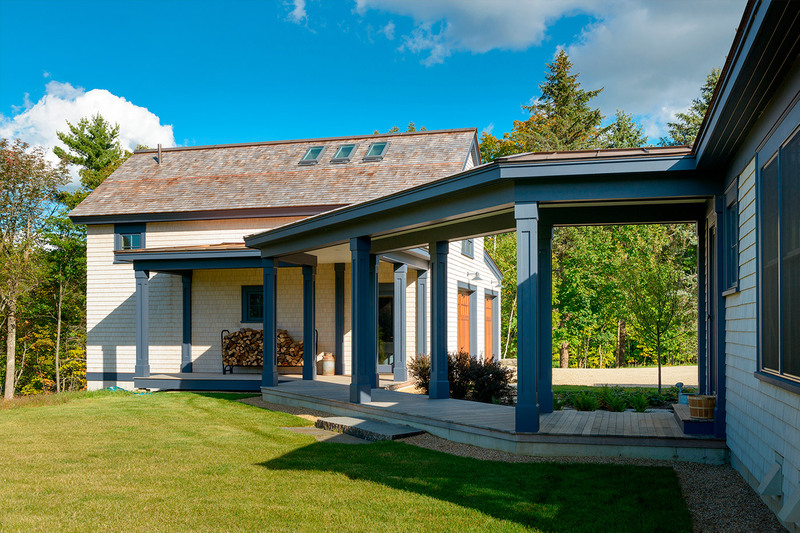 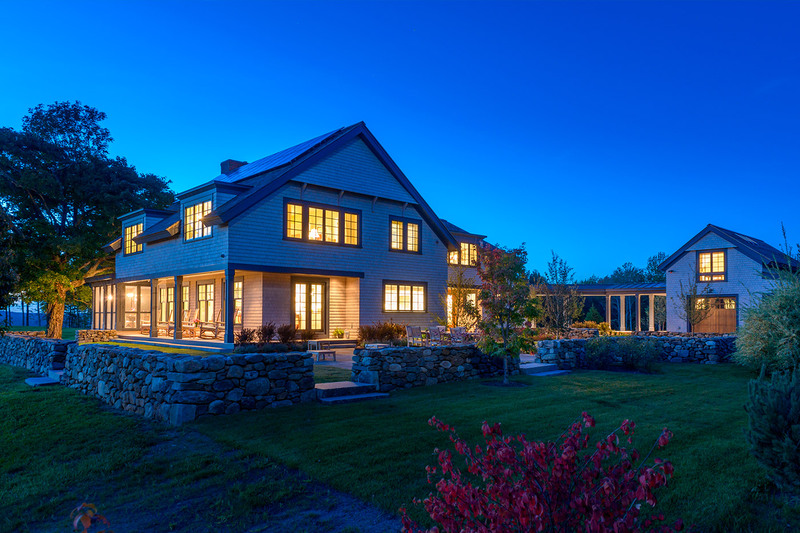 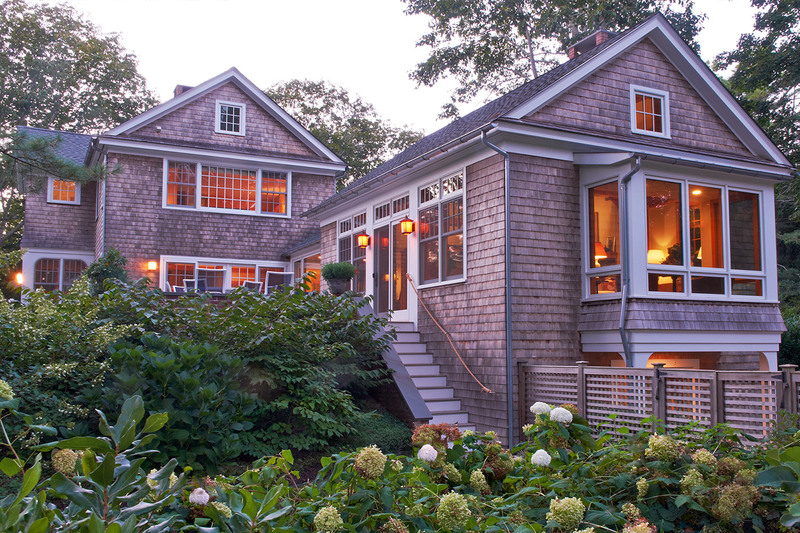 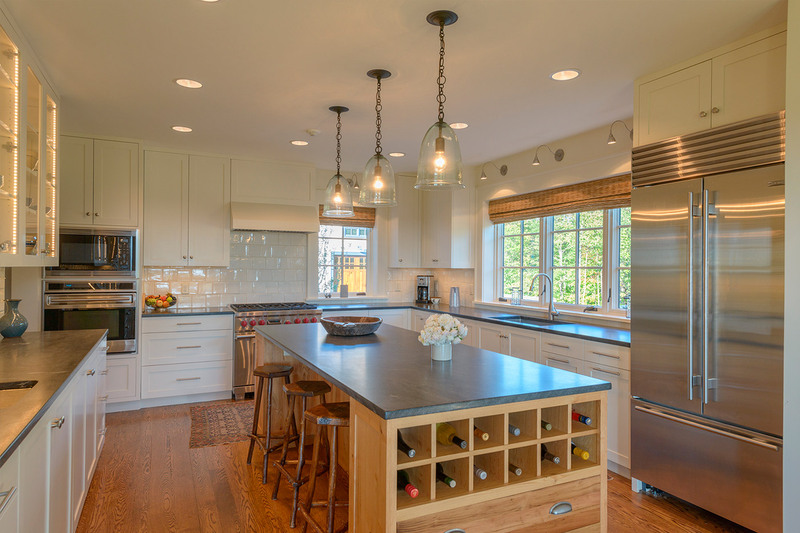 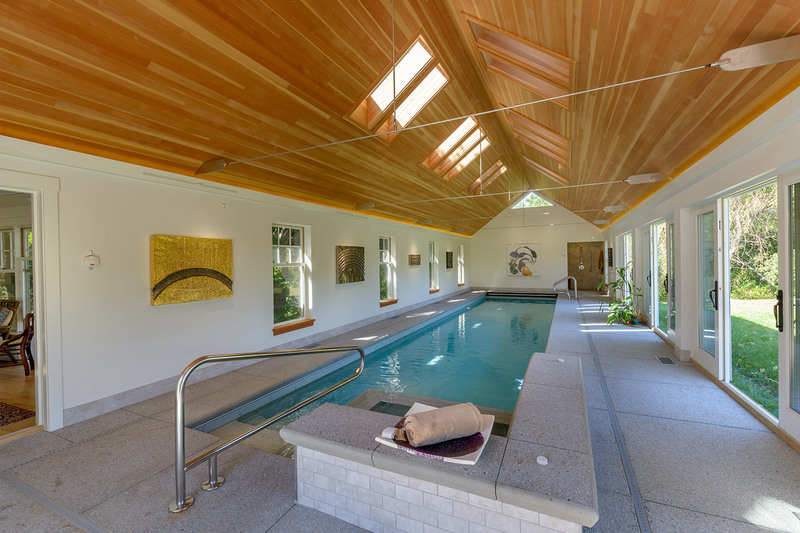 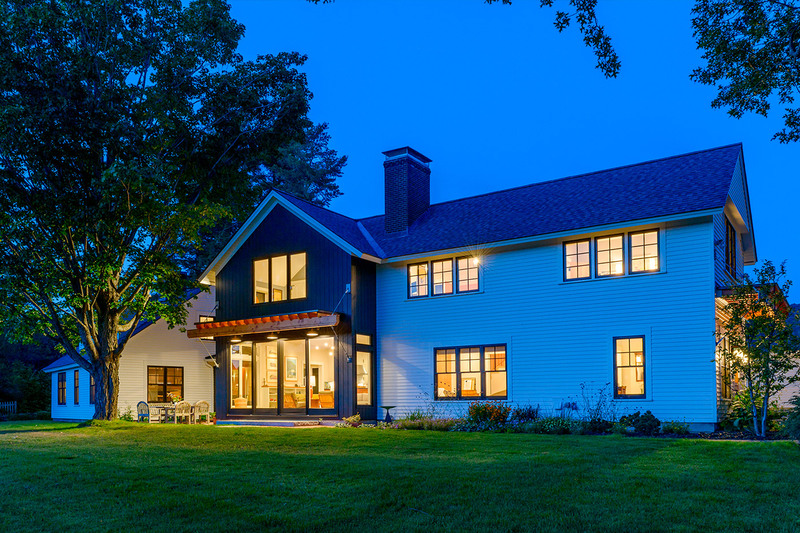 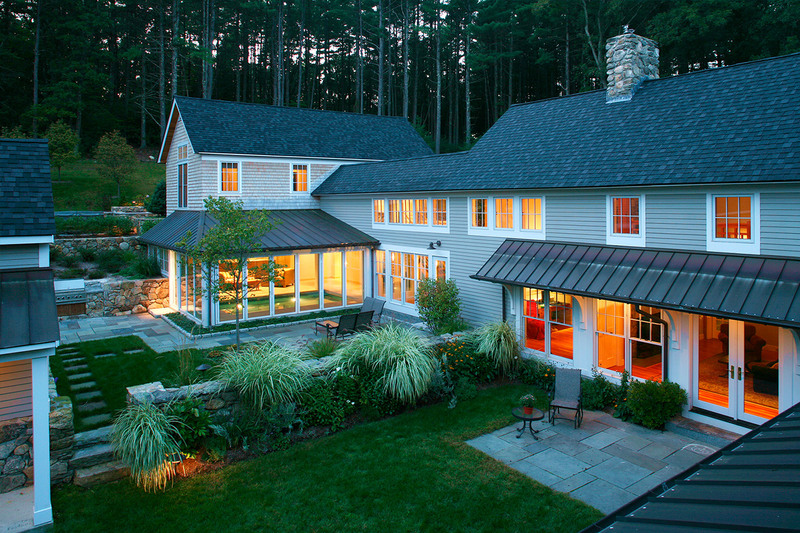 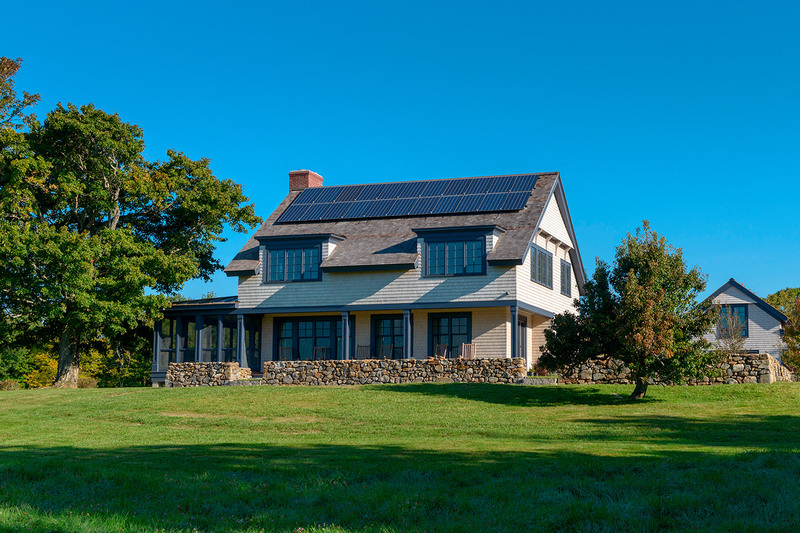 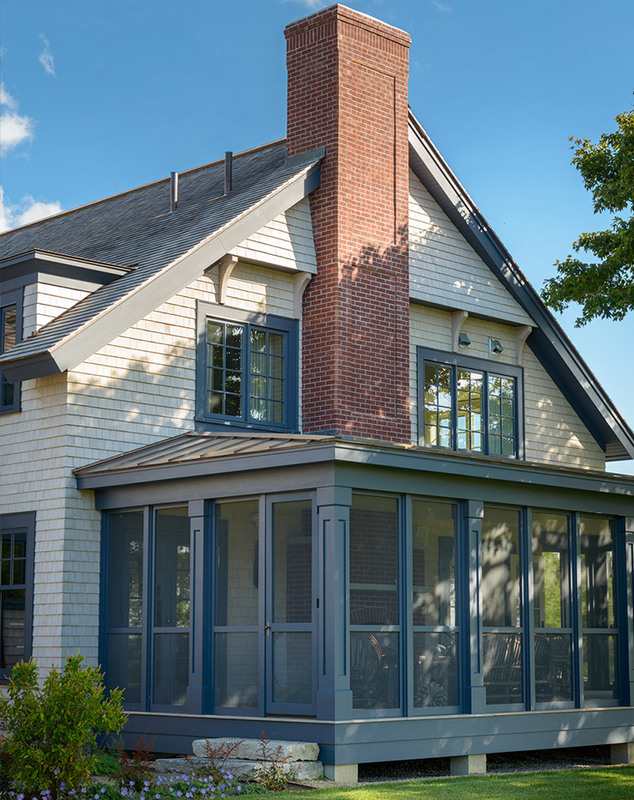 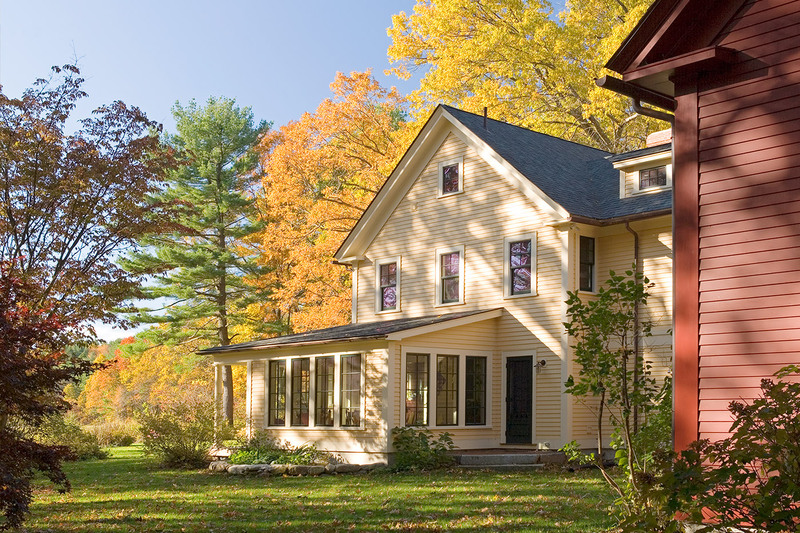 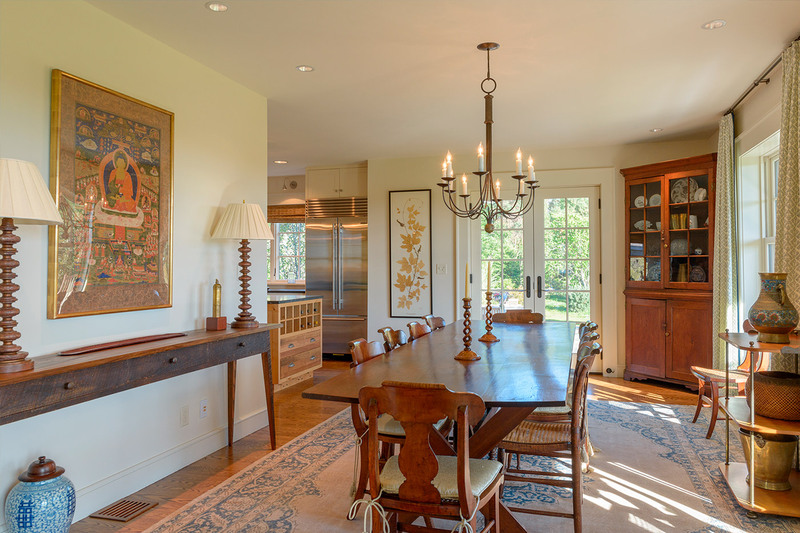 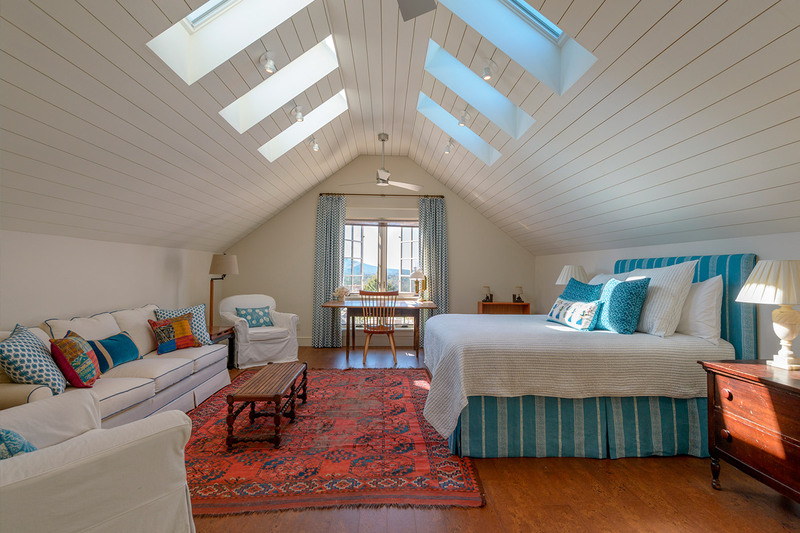 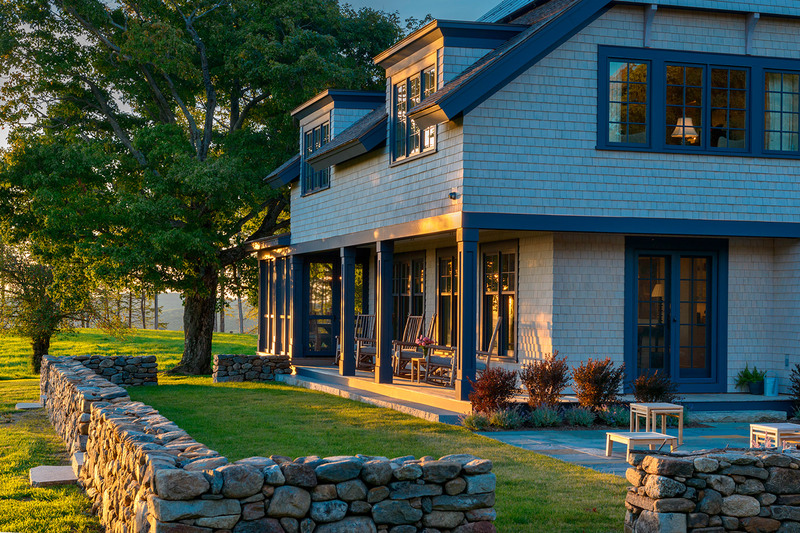 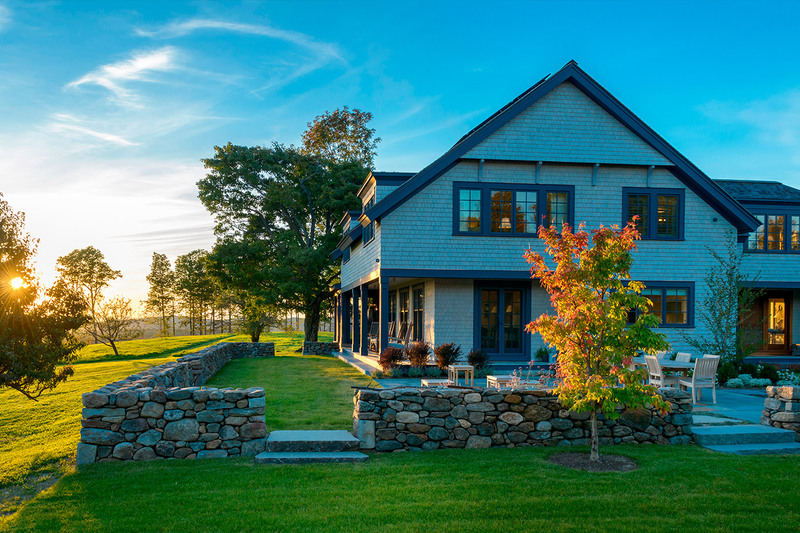 It is a traditional New England Farmhouse that is modern in its plan through its shaping of indoor and outdoor spaces that connect the built environment to the natural one. 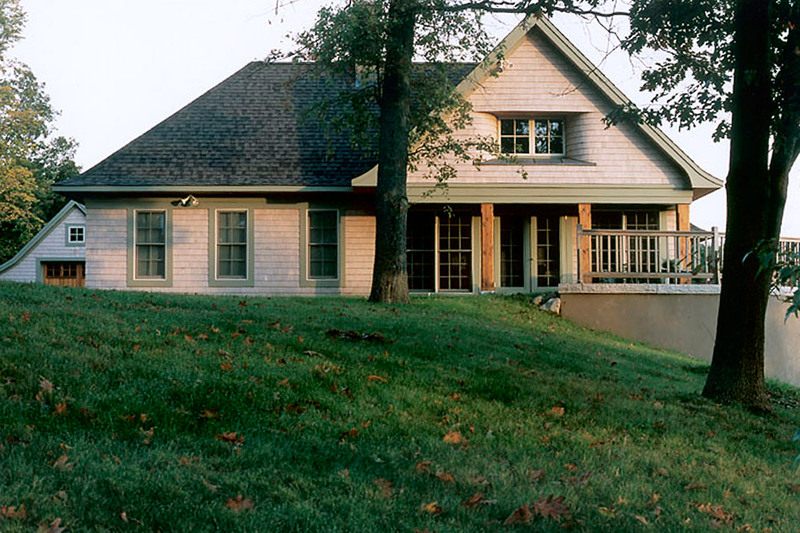 The planning prerogative was to develop a design from the outside inward to create spaces that would successfully integrate architecture with the landscape. 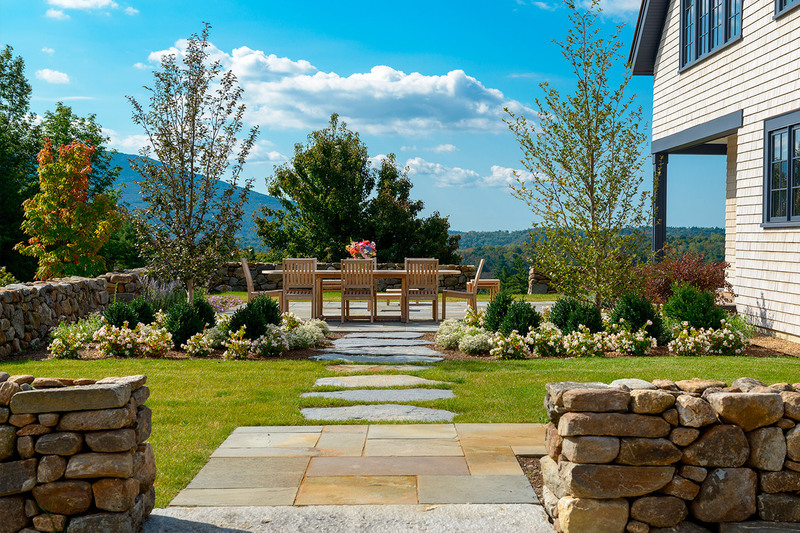 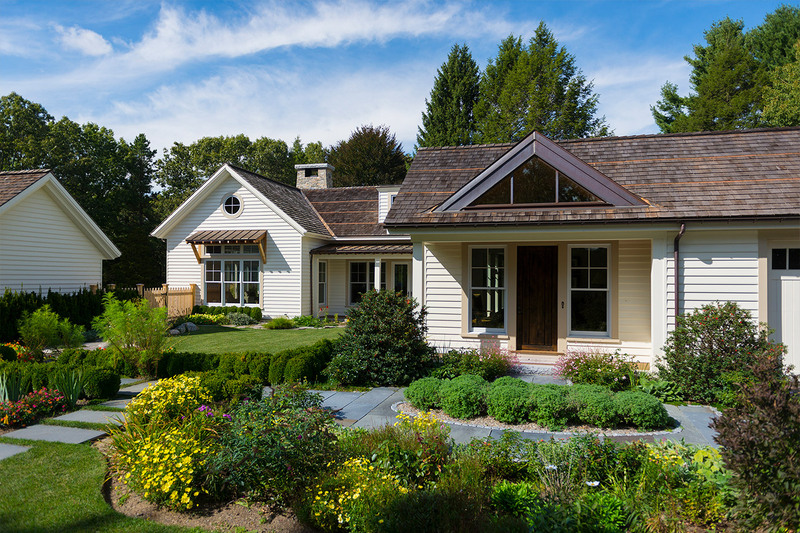 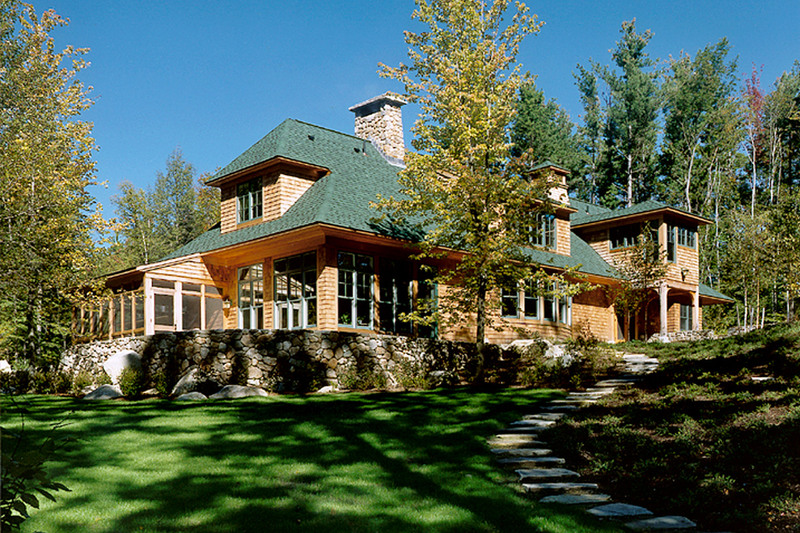 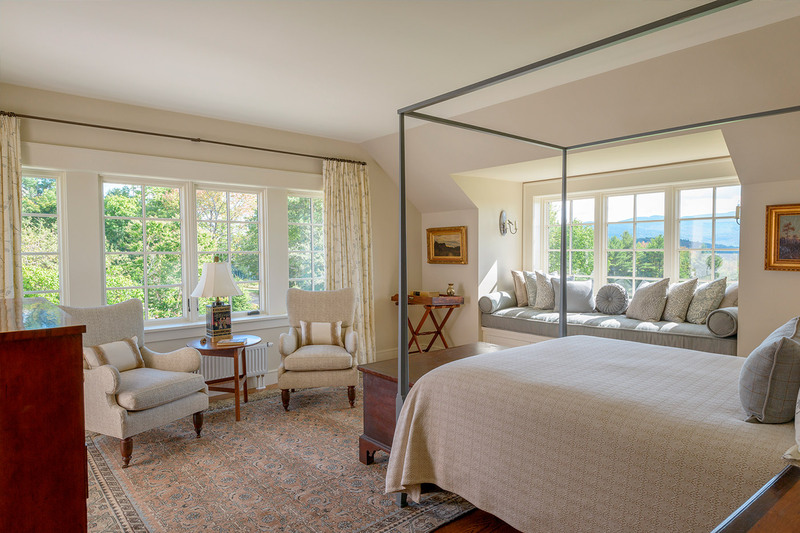 Like a well-executed landscaped painting, we designed a set of outdoor gardens which made transitions from the distance views of Mount Monadnock to the south, the Green Mountains of Vermont to the west, and the foreground of existing and new meadows surrounding the house. 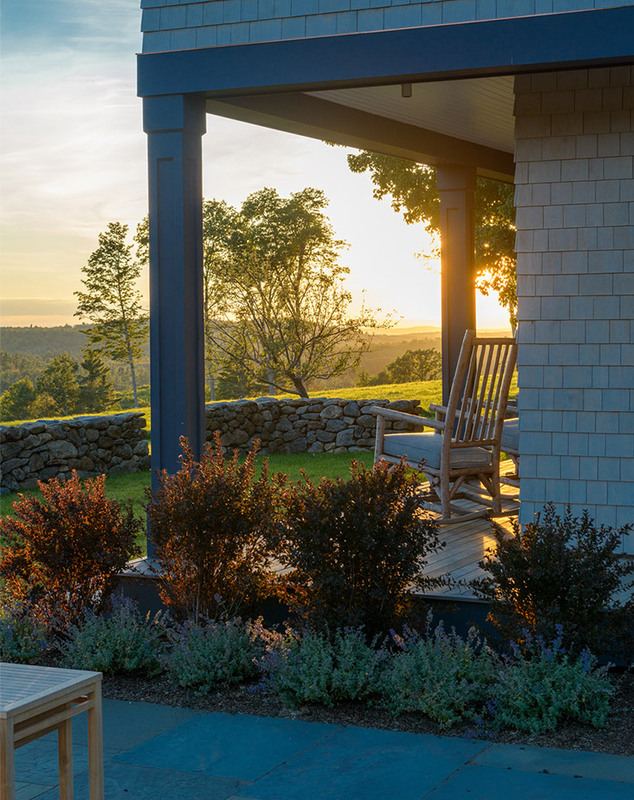 We shaped a set of stone walls to embrace several outdoor spaces, and designed porches to emphasize the progression of transitional spaces between indoors and out. 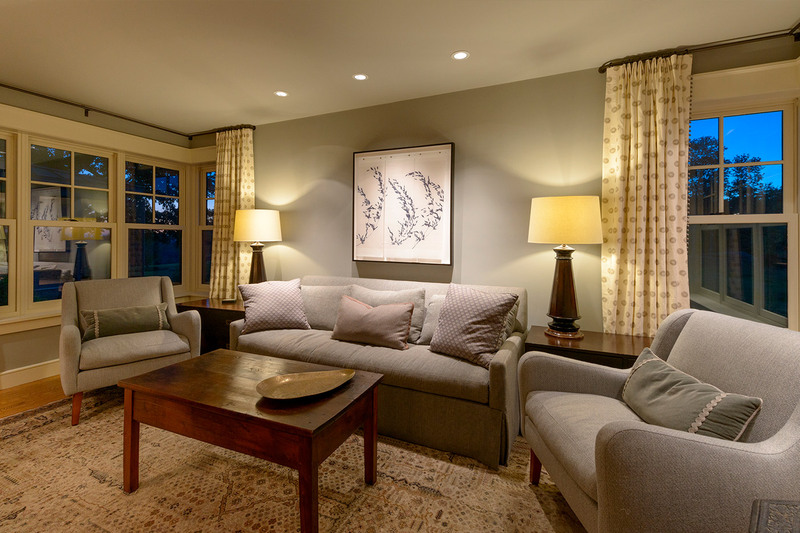 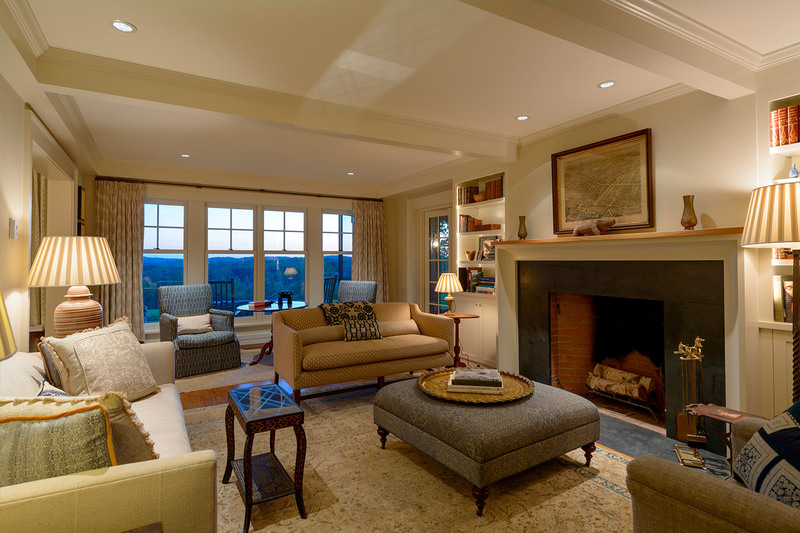 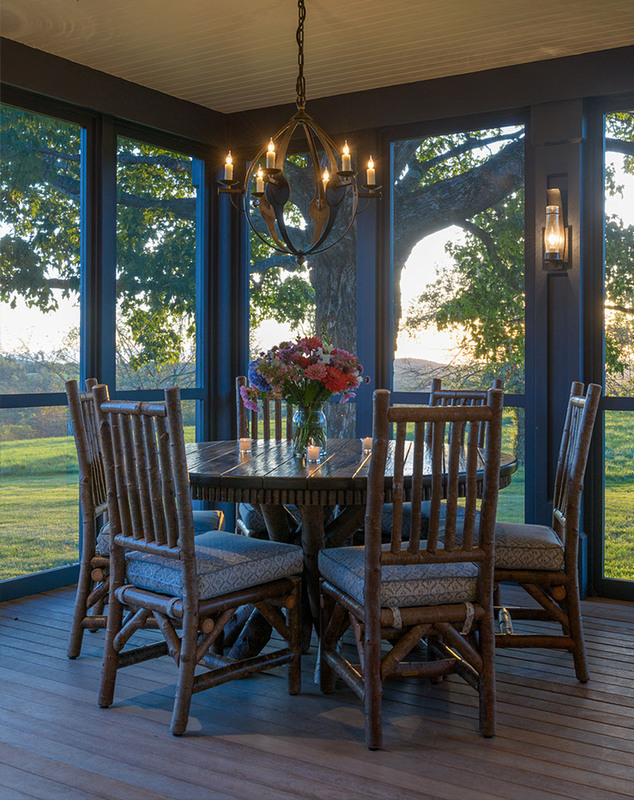 The plan created an informal set of spaces for the living room, dining room, kitchen and screen porch that is reminiscent of summer cottage living. 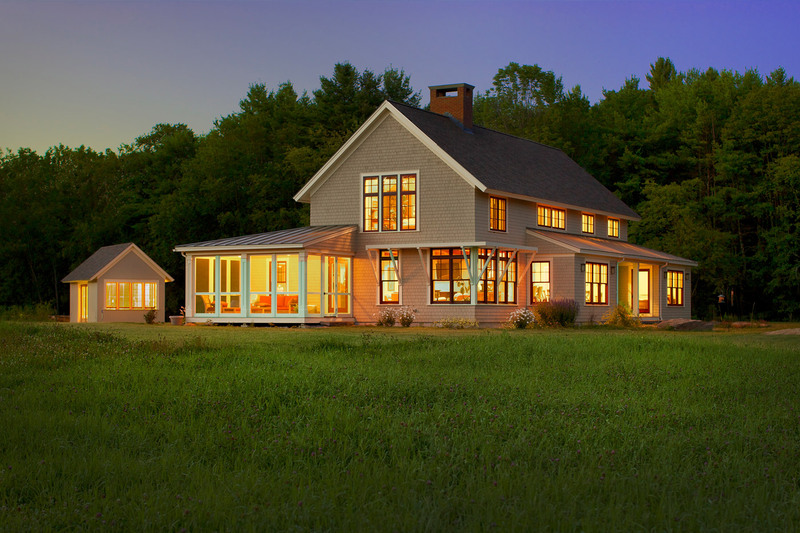 All the spaces would allow for views to the south. 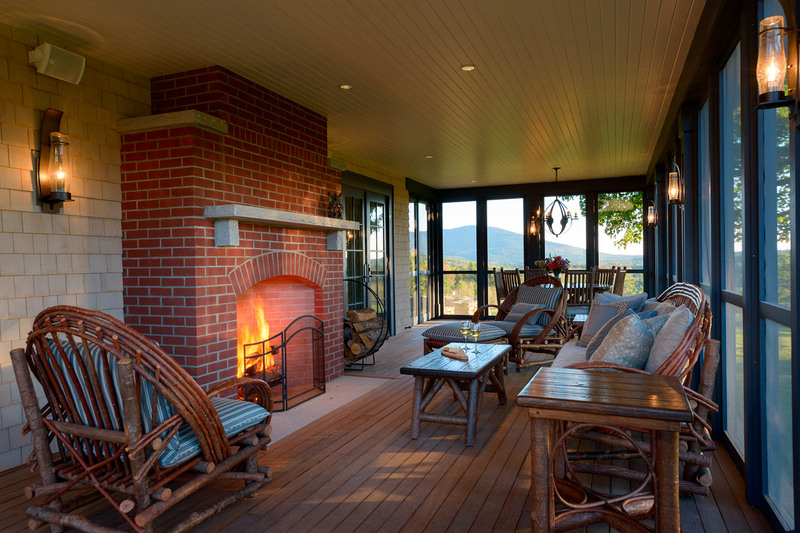 The screen porch was situated to allow for views of the mountains to the south and sunsets to the west, while keeping it out of view during the long winter season when it will not be used. 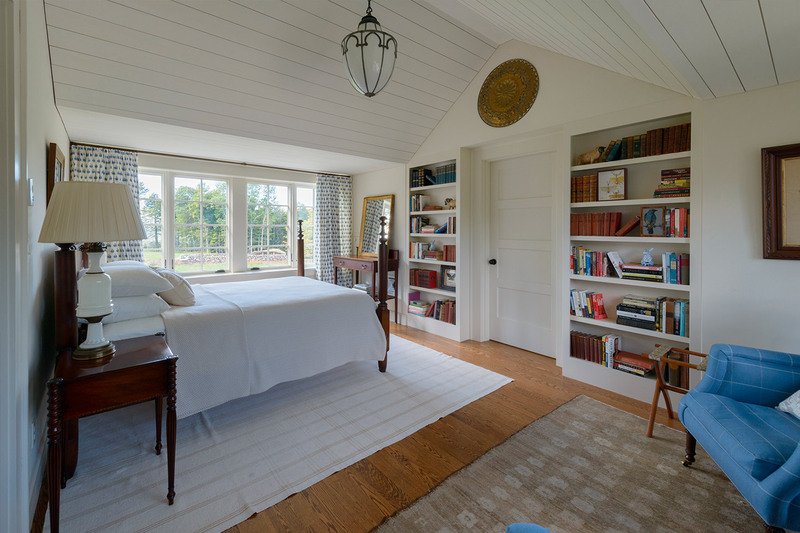 Six bedrooms were planned to allow for different degrees of separation and privacy. 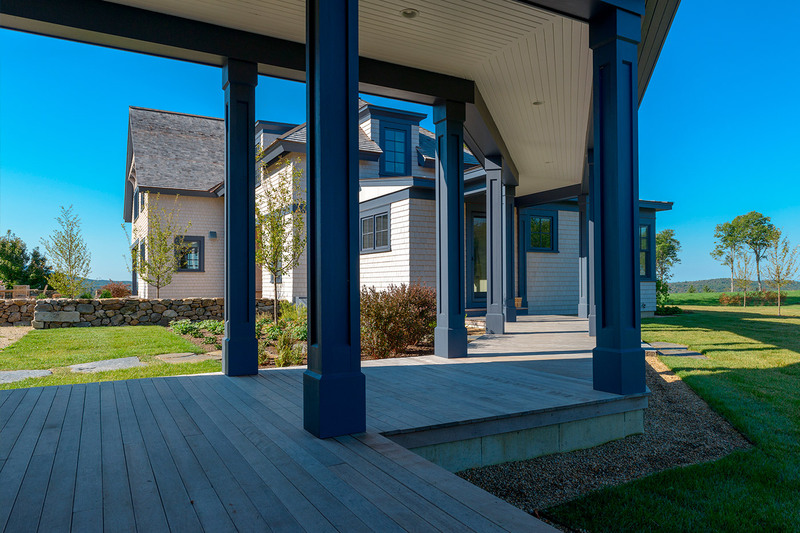 A connector joins the garage to the house that further defines the gardens and shapes the entrance courtyard creating a welcoming space that is reminiscent of the New England farmyard.